Hillsong UNITED, well actually Hillsong in all of its 3 facets (Worship, UNITED, Young & Free), need no introduction. If you haven’t heard of them, then shame on you! No, not really, I’m just joking- but in all seriousness you do need to check out their discographies here, here and here– and you can read about all of our posts on Hillsong Worship, UNITED, and Young and Free in the links here, here and here, and when you’ve finished, you maybe can gain a bit more perspective and knowledge of the worship movement that’s been around for decades! Whether you believe in Jesus Christ or not, chances are that you’ve might’ve heard about this previously small Australian church group now turned global megachurch worship movement, spanning 3 incarnations (Worship, UNITED and Young & Free) and counting, plenty of inspiring singles, no 1 top hits on both Christian and mainstream charts and a plethora of studio and live albums. If you don’t know the name of the group, I am sure some songs will be familiar. With the UNITED branch of the worship ministry originating in 1998, we have been blessed to hear so far 11 live albums and 5 studio albums (All Of The Above, Aftermath, ZION, Empires and Wonder). With Hillsong being one of the most popular, respected, prolific and inventive worship movements of all time; their music has touched the lives of many locally and globally. Since its inception, this young worship team have carried on the church’s mission and vision to lift the name of Jesus above all others. In my previous UNITED review about “So Will I” and their EP featuring many different versions of that particular track; I mentioned that there was probably no other far reaching song than “Oceans”. I also went on to say that the song was so popular that an EP was recorded in 2013 (and reviewed by Jon as well! )- yet if you revisited UNITED now, you’d have to say that “So Will I” has reached that status of being a ‘cult classic song’ alongside “Oceans”- the track essentially being about how creation worships God in many different ways and in vastly different circumstances, and so we should worship God as well. Fast forward until about a week ago, and we now are glimpsed into the next ‘big hit’ from the Aussie movement. “Not Today”, originally on Wonder last year, has now been re-released again as an EP, and this time with 3 versions. The original studio version, a live version (which sounds exactly the same as the studio recording, except with an enthusiastic crowd!) and a sped up frenetic remix version. With all three versions being led by Taya Smith, and each version being just as unique as each other, and just as enjoyable as each other, you all are in for a treat as we listen to maybe one of the shoe-ins on WOW Hits 2020; as the group ardently display to us an in-your-face declaration to the devil that he won’t win, thus we can confidently ‘…sing the night into the morning, I’ll sing the fear into Your praise, I’ll sing my soul into Your presence, whenever I say Your name, let the devil know not today…’. A song fit for encouraging us when we are feeling down, Taya definitely needs to be commended for being bold and standing up for her beliefs even when the world is on the whole moving in the other direction. It is not known when UNITED will record another studio album (although Wonder was a surprise release last year!) 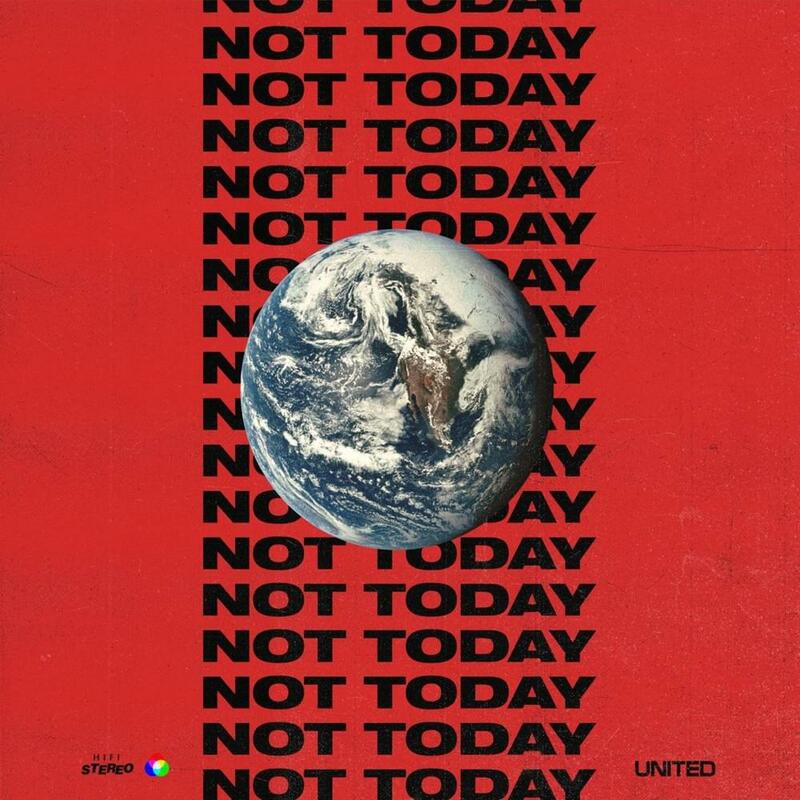 but until we are graced new music from Taya, Joel, Matt, Jad, JD and others, let us jam to “Not Today”, one of the most inspiring worship singles I’ve heard for a while! Maybe in time “Not Today” will be one of the most recognisable songs ever from Hillsong UNITED, aside from “Oceans” and “So Will I”? I’d suggest getting on the bandwagon of “Not Today” very soon, and let the devil know ‘not today!’! It is going to take off in a big way, either sometime soon this year or early next year! Well done to Taya, Jad, Joel, JD and Matt, Wonder and “Not Today” (all three versions) is due for many more spins and rotations in my iTunes playlist! 3 songs to listen to: All Of Them!